Summer Recipe from NFCA volunteer Annette Marie of Best Life Gluten-Free. 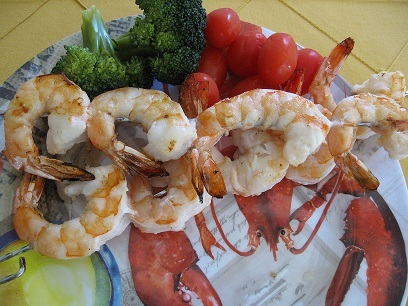 I love jumbo shrimp and this is an easy way to have them on the barbecue, with just a few steps beforehand. After they’ve soaked up the marinade, just thread through skewers, or even place in one of those metal baskets for the grill. The lime adds a great “tang”! First, peel and devein the shrimp, trying your best to leave the tails on. In a medium bowl combine all of the remaining ingredients, stirring well. Add the shrimp and toss so they’re coated all around. Thread on skewers (or use a metal barbecue basket that will allow you to rotate the shrimp so all sides get cooked). If using wooden skewers, be sure to soak in water before threading, so they don’t burn on the grill. Place on a hot grill, and grill for about 3 minutes on each side, until turning pink. A lovely side dish is a saffron rice, but whichever side dish you choose, these are great! For tips on safe gluten-free grilling, check out the Gluten-Free Summer Safety Tips blog series from the National Foundation for Celiac Awareness. Annette is a native New Yorker, now living in New Jersey. 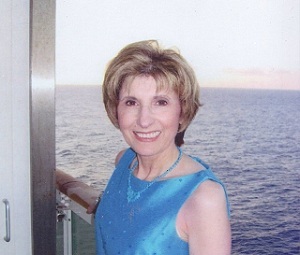 Since she was diagnosed with celiac disease well after the age of 50, Annette has made it her mission to raise awareness in the hopes that others won’t have to live for years with unexplained symptoms as she did. Some of Annette’s recipes are inspired by traditional Italian recipes, but she adds other original gluten-free recipes to the mix. Her “semi-homemade” and from “scratch” recipes are meant for busy families eating gluten-free. For more of Annette’s gluten-free recipes, visit her blog at www.BestLifeGlutenFree.com.